New Sews for the New Year! In late October, Fabric Mart Fabrics was having a stellar sale on wool fabric at just $13 p/yard. Even though I didn’t have plans to make a coat *before* that sale, I certainly did when I realized they had yellow available! So, I bought 3 yards plus some black and white polkadot silk with the plan that I would make this coat in the beginning of December. December came and went, and January was steadily creeping by. And still, no coat had materialized. On Saturday, my husband blessed me with a complete day off! He took our 3 kids to the local children’s science center, build-a-bear, and then Ikea! I didn’t actually see my kids until I woke up the next day, because I had to go out before they got home! So, I was able to spend that whole day finishing my coat muslin and cutting out all my fabric (and reading a book!) – uninterrupted! Sunday I finally got to start stitching everything, but since I also want to top stitch everything, it will take more time than just 1 night to get the thing finished! So, that brings me to today’s blog post. Instead of seeing my hopefully glorious coat, I’m going to give you a rundown of my sewing and blogging plans for the year. (The coat will come – I promise! Subscribe to my blog so you don’t miss it when it does make its appearance 😉 ). 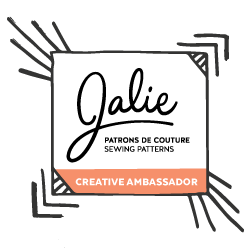 My most exciting development is that this year I’ve been chosen as a brand ambassador for Jalie Patterns! Jalie is based in Canada and have been in business since 1983! They are most well known for their performance wear patterns (think leotards, swimsuits, workout gear) but are also loved for their wardrobe staples, pants, outerwear, underwear, shirts, dresses (you name it!) plus a huge size range (most patterns range from size 2T – adult). All their patterns have the instructions available as a free download, so you can look them over before deciding whether you want to buy the pattern. Many of their patterns also come with video tutorials too. They’ll be releasing their new collection in a few months and I can’t wait to start sewing things up from it! While I wait for it to release though, I plan to sew up a bunch of other Jalie things! Since I’m also a VIP blogger for Halla Patterns*, I plan to sew up a number of their patterns this year. Halla Patterns are more beginner friendly than Jalie, so I think featuring the two will be a good mix. 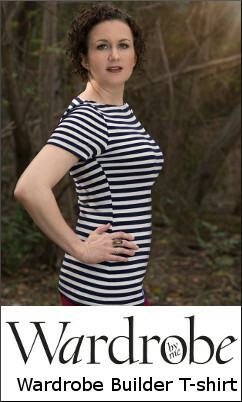 Pretty much all of Halla Patterns are designed for popular knits such as Cotton Lycra, French Terry, and Double Brushed Polyester, and their collection includes kids and women’s designs. Just yesterday they released the new Stella Pullover* and I can’t wait to try it out very soon! This year I’ll continue doing some “strike-off” sewing for a handful of fabric companies. I mostly use these to sew up garments for my kids, since it’s so much easier to get photos of them than me! Whimsy Baby Customs – this is a group based out of Canada and they have the cutest fabric! Many of their designs are unique to them with many “whimsical” or “grunge” styles. I’m so honored to be one of their seamstresses – the creativity in that group is mind blowing so I really hope I can do a good job and think outside the box with my work for them! Beanpop Fabrics – I’ve been sewing for Beanpop for a few years now and I love their fabric. The designs are all unique to them and the quality of their fabric is top notch. I’m hoping I get to sew for them this year – they are changing up their seamstress list, so we shall see! 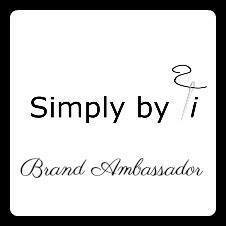 Simply By Ti – I started sewing for Simply By Ti last year, and it’s been fun and a lot more flexible than sewing for the custom fabric groups. Every other month I can select any fabric from her store to sew up and promote. With Simply By Ti, I’m trying to focus on sewing coordinating outfits for me. She carries a number of different fabric types including double brushed poly, cotton lycra, stretch twill, stretch poplin, and ITY. 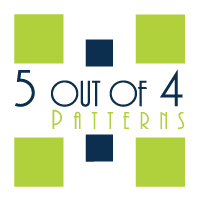 For the last few years I’ve done pattern testing for various independent pattern companies. I plan to continue doing that this year, though my focus will be on Itch to Stitch*, since her patterns are amazing and testing for her is always such a great experience! I find that I love putting my editorial skills to work during the testing process, and it’s also a great incentive to get something done to a deadline! I’m also in the testing group for Duchess & Hare patterns*, so no doubt you’ll see a few of those pop up over the course of the year. And whatever else I sucker myself into too haha. Over the last 9 months or so, I’ve been paying a bit more attention to the various sewing related contests, challenges and tours going on. These are also great ways to have forced deadlines, try new skills, and build camaraderie between other participants. 52 Week Sewing Challenge – Ok, so I’ve kinda bombed on week 3, since my only completed project was a muslin. But the idea behind this challenge is you create one thing a week and then enter it into the sweep to win one of the weekly prizes. There’s a list of suggested themes for each week but you don’t have to stick to it. This week’s is “something for a boy” and I will *hopefully* have my strike-offs from Whimsy Baby Customs any day now, so it will be perfect timing for that! 2018 Ready to Wear Fast – Goodbye Valentino hosts an annual Ready-to-wear (RTW) fast, and since I only bought 1 pair of jeans last year, I figured I could definitely cope just fine with sewing more of my own clothes this year and making do with what I already own. There’ll be various prizes given out throughout the year on this one. 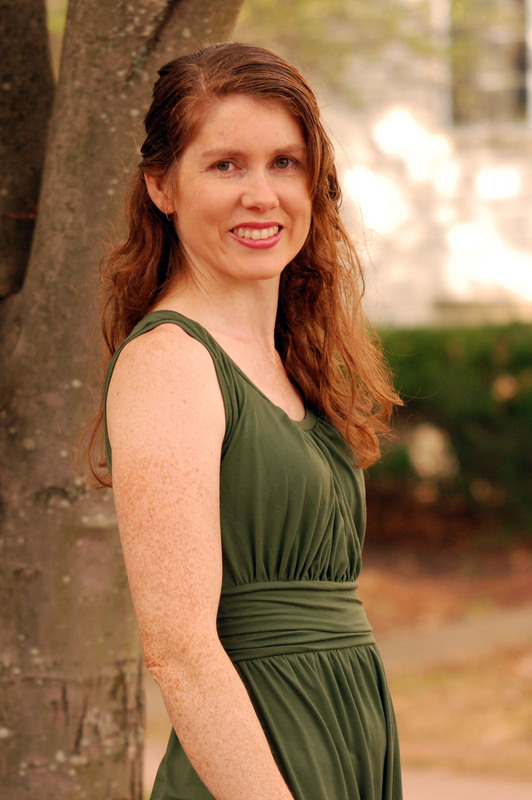 2018 Night & Day Dress Challenge – Between now and March 5, Elizabeth Made This is hosting a Night & Day Dress Challenge. My plan is to use a Jalie pattern and fabric from Simply By Ti to make these looks! Sew Alongs & Sewing Contests Facebook Group – In January, this group is doing a coat/cape/cardi contest, so of course I fully intend to have my coat ready before the end of the month so I can enter it in! They have other contests throughout the year that I may try to take advantage of too. ….And the clothes I plan to make! Jeans! Either the Itch to Stitch Liana’s or the Jalie Éléonore Pull-On Jeans (or both!). If I go the Jalie route, I’ll also make some for my girls. Lingerie! Perhaps the Rad Patterns Lucky Bra* and/or one of the Madalynne bras for Simplicity. Or, of course there’s Jalie too! Undies for my kids! Girls underpants are like, the worst. My eldest daughter hates them and I always have to check to make sure she is actually wearing them before we can leave the house each day. I need to make her some undies that she’ll actually love wearing. For this I’ll either use the Boo Designs Swimmers pattern* or the Stitch Upon A Time Kids Scrundies pattern. Sweaters! I am so over all my sweaters. I really need new ones. Thankfully Simply By Ti has a lot of sweater knit in stock, so I need to nail down exactly what I want to make and go and get some fabric to whip some up! Since I still nurse my youngest, I generally gravitate to cardigans. I’m looking at the Itch to Stitch Lisbon*, Halla Cozy Wrap Cardigan*, and Jalie Cocoon Cardigan. Sweatshirts! I’ve been making a number of hoodies using German patterns lately. I’d love to make some of these in women’s sizes. I’d love to make the Women’s Jordis, Women’s Filou, and the Halla Stella Pullover*. No doubt my kids will get a bunch since I enjoy making hoodies with the strike-offs I receive! Skirts! I definitely don’t have enough skirts in my closet. I have owned the Paprika Patterns Jade Skirt for a few years now and every year I tell myself I’m going to make it, and then it doesn’t happen. This year will be the year! I promise! Pajamas for my husband! My guy spends all his time at home wearing pajama pants. He always pops the knees out and the only pair that has held up is the one pair I made him. I will probably use a BurdaStyle pattern for his next pair, since he really wants a pair with a fly shield and the last ones I made didn’t have that. I’d love to try some other popular pattern designers this year too. I have patterns from some of the favorites that I really want to try and get to — Designer Stitch, Wardrobe By Me*, Thread Theory, and New Horizons. So there we have it: my sewing plans for 2018! I suppose in December I’ll be doing a roundup post to see which of these goals were actually achieved! Don’t forget to check out what everyone else has been making/sharing this month! Wow! Sounds like a great year for you! Just wanted to suggest That Darn Kat undies. I’ve been making them for my daughter for many years. In fact, I’ve been making all the undies for my sons and daughter for years. For the boys, I’ve used That Darn Kat, but now that they like boxer briefs, I use a Jalie pattern. Jalie is great, because of the size range. Awesome. Good luck on all your sewing this year! Thanks! I’ve never heard of that designer before but I’ll look into it. Right now I own the boo and suat patterns so figure I’ll start with one of those! I really get the no kids sewing day thing. I have 6, so when they were all little it was so hard getting good chunks of sewing time. I also homeschool so there goes more time. I’m in awe of all your plans! They all look so good. Yes! We homeschool too so sewing is always relegated to nighttime after they are all in bed! Sounds like you will be extremely busy this year! Itch-to-Stitch Lianas are wonderful and so are some ot the others you have listed.